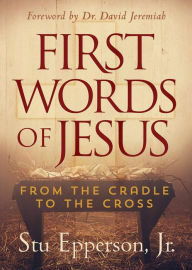 In The First Words of Jesus, Stu Epperson offers an engaging look at the beginning of Jesus’s life to help you understand His first words and why He said them, realize Jesus’s ultimate purpose as it related to each point in His life, and uncover the thread of redemption masterfully woven throughout history. Stu Epperson Jr. is the author of The Last Words of Jesus: First Steps to a Richer Life, and founder and president of The Truth Network, with radio stations across North Carolina, central Iowa, and Salt Lake City. Truth Network also develops and syndicates programs on more than three hundred affiliates nationwide. 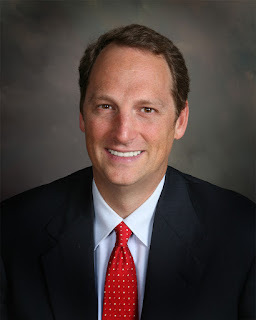 Stu hosts Truth Talk Live, his own nationally syndicated show. In his spare time, he enjoys coaching and playing basketball. Stu lives in North Carolina with his family. I found this book to be so inspiring! It focuses on the words of Jesus and what He came to do when He was born as a babe in Bethlehem. There is beautiful Scripture and commentary throughout the book that helps us to focus on Jesus. It is a reminder that He was truly human when He was here, something that is so easy to forget. He was dependent on His earthly parents and we see that from a new perspective in this book. It really made me think of his life here on a earth and all He taught us in a new way. I really loved how each chapter ended with Scriptures to reflect on and then group discussion questions. This helped me to really understand the Scriptures and how they apply to my life. I really think this would make a great small group book or a study for couples. There is so much great information that really helped me to understand things I hadn't really understood or thought about before. I love the charts he has in the book because they made things to much clearer for me. I found myself referring back to them time and again as I found them so interesting. This is a really fantastic book that I will be referring to and re-reading. I absolutely love this book and believe you will, too! I give it 5 out of 5 stars.